I once read somewhere that owning a backsaw and not owning a bench hook – was like riding a bicycle without handlebars. A bench hook lets you quickly hold your work piece in place while sawing across the grain, without having to clamp your piece down. I use mine for other uses – when paring away the waste in dovetails and other tasks where the bench needs protection. 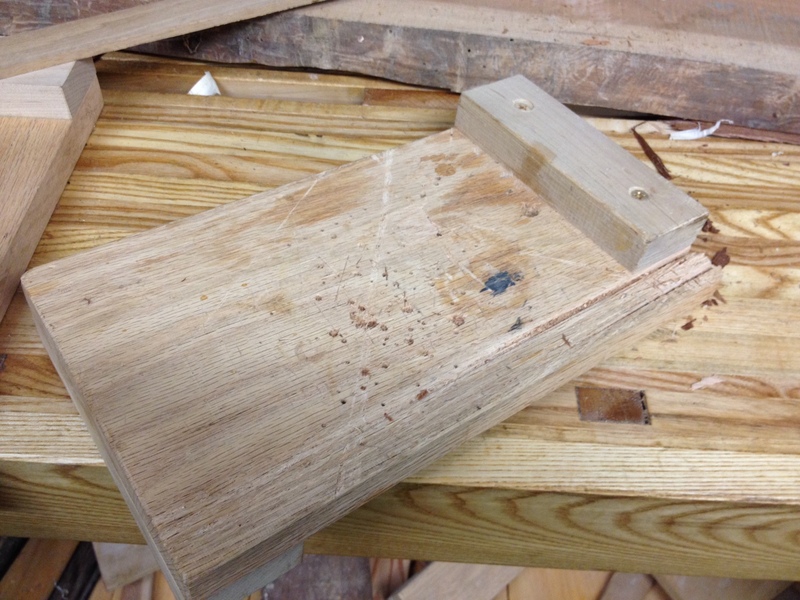 A bench hook has all the E’s it’s Effective, Efficient, Economical and Easy to make. I built mine from three pieces of scrap oak, but you can use almost any wood since it’s meant to be replaced. It takes but a few minutes. Here Roy Underhill takes you through the steps to make a pair of (though more complicated) bench hooks out of a single piece of wood . Other configurations would include mitre slots and a shooting board.